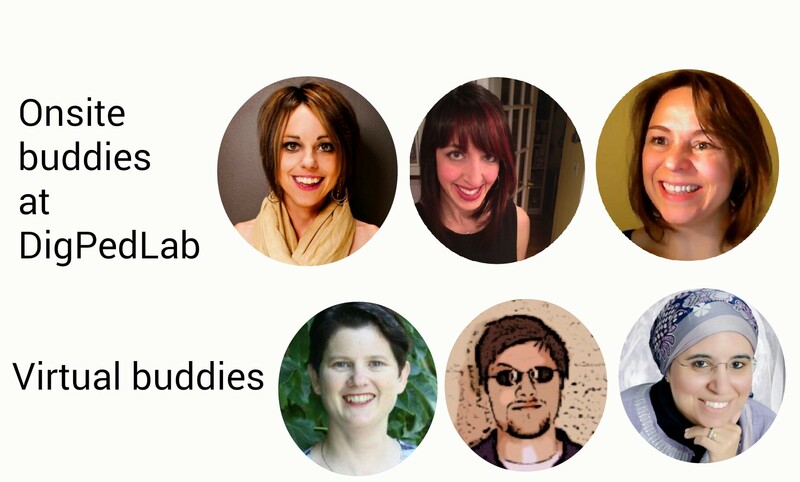 From August 10-14, Virtually Connecting will be at the Digital Pedagogy Lab Institute at the University of Wisconsin-Madison, hoping to connect with track facilitators Jesse Stommel, Sean Michael Morris, Bonnie Stewart and Adeline Koh. We are also hoping to connect with keynote speakers Audrey Watters and Amy Collier (we hope these will be livestreamed). We also hope to connect with onsite participants and hear about their experiences at this innovative professional development institute. 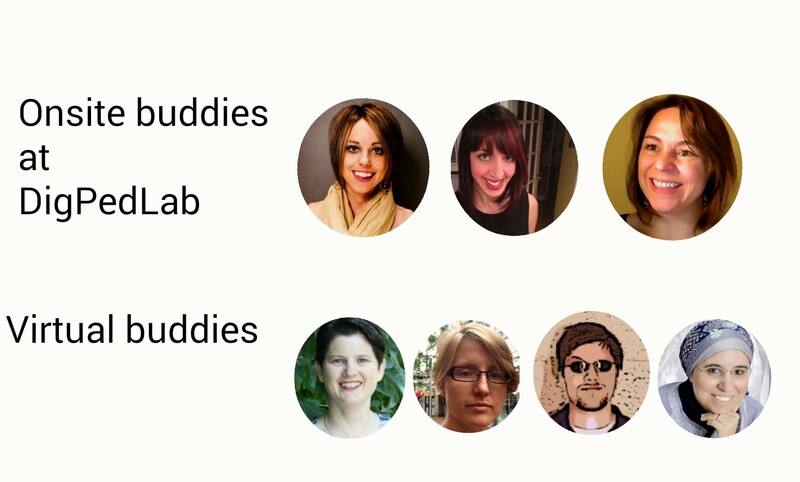 We are excited to announce a larger team of onsite and virtual buddies. onsite: Lisa Hammershaimb (@merryspaniel), Sarah Hammershaimb (@s_hammershaimb) and third-time onsite buddy Andrea Rehn (@profrehn) and three virtual buddies: Maha Bali (@bali_maha), Rebecca J. Hogue (@rjhogue) and first-time virtual buddy Apostolos Koutropoulos (@Koutropoulos). 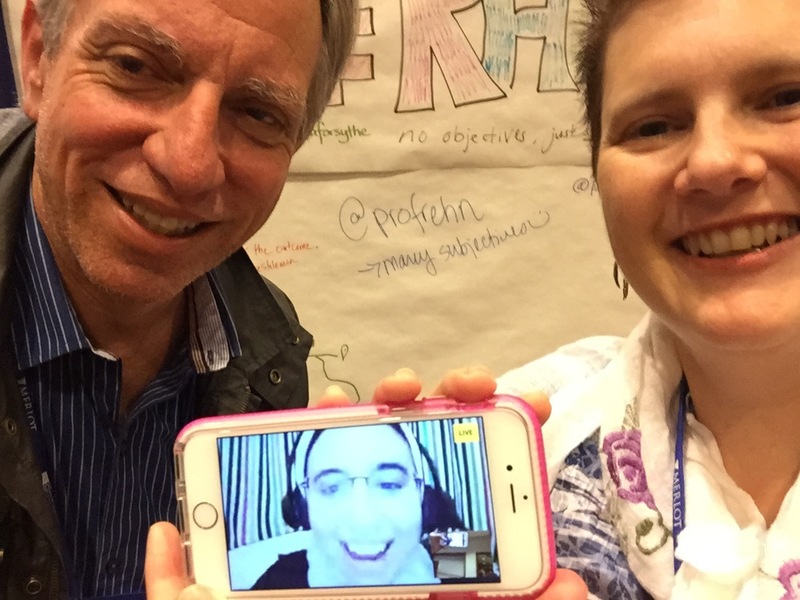 Update: Friday with Amy Collier after the keynote with Jesse. Details coming soon. We still have not finalized the schedule for Thursday or Friday, but will make announcements on virtually connecting as the schedule changes. As Virtually Connecting is in part about spontaneity and is necessarily about embracing imperfection, our planned schedule may change. Follow our Twitter account (@vconnecting) for updates. If you are interested in participating virtually, please email info@virtuallyconnecting.org using your gmail account. There will usually be space for at least 5 virtual participants for each hangout. We especially would love to have people join us on Tuesday for the special in-session presentation. Digital Pedagogy Lab is hosting a pre-event Twitter chat facilitated by Hybrid Pedagogy on Sunday August 9 using the #digped hashtag. If you would like to participate, here is the prompt. What an interesting way of formalizing this, given you now have a team and schedules. Will be interesting to see how it works and what you all learn in the process.